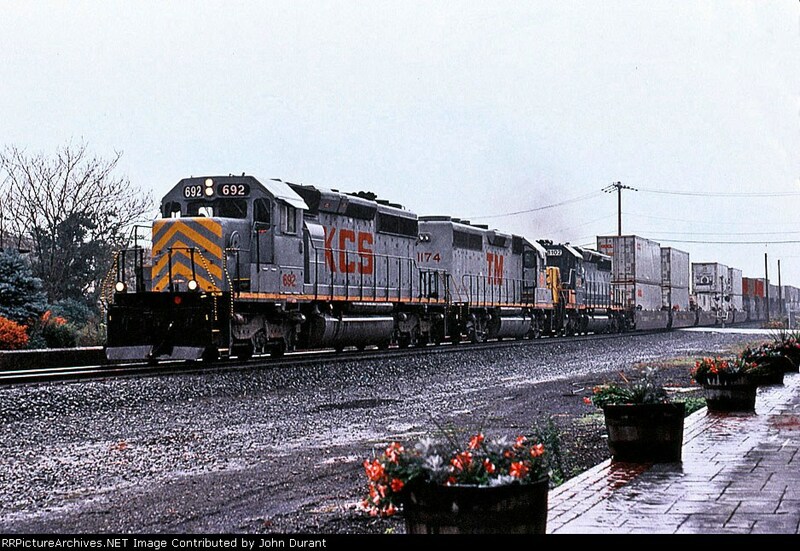 KCS 692 is on the point of Q-156 at Ridgefield Park, NJ 9/15/1999. It is a miracle this photo exists at all as the rain that is falling in the photo is the first rains of Hurricane Floyd that would hit the area full force the following day flooding my home and destroying everything that was in my camera bag. I had debated developing the film that was in the destroyed camera. I am glad I did since this was one of the few images that wasnt damaged on that roll of film.